Sonos Play 1 Review (2019) – Still The Best! 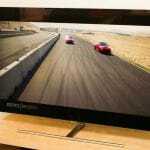 Sony KD55X720E Review – 4K Value Powerhouse! 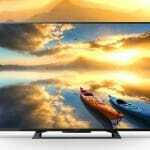 Today I want to do a quick review of the Samsung Curved 65 Inch 4K LED television. Just for clarification, the model number on this one is UN65MU6500. Now, I should mention that I found a pretty good deal on this TV and I’ll put a link in the description below. So, you guys can check that deal out. So, this is Samsung’s latest model for 2017, for its curved line of 4K regular LED TV’s. This is not an OLED; it’s just a standard LED. However, I will say, if you want to short version of this review, that the picture and the color on this television, are amazing. The curve, if you like a curved screen, in my opinion, it’s the best-curved screen TV in a 4K, out there that you can buy right now. It has nice slim minimal style bezels. It looks good on a stand. It’s very minimal. It mounts well on a wall too, although I’ve never been a huge fan of mounting curved screens on the wall. To me, it looks a little odd but it’s all opinion anyway. Some people don’t mind it at all. It has 120 Hertz panel to, so I don’t really like that for movies. Obviously you can turn it off, but for sports and things like that, it’s unbelievably good. It’s like watching a video game. The players, the motion, everything just looks awesome for football, high speed sports, things like that, look awesome on this panel. Fitbit Aria 2 Review – Finally A Good Fat % Scale!